A new, old idea is bubbling up at the nation's cocktail parties. "It’s like falling off a log for her." It much prefers to honor Led Zeppelin's Robert Plant. The band is accused of stealing the opening chords for their 1971 hit from another song. Judge finds "substantial" similarity to song of band that toured with the popular rockers. Lena Hall at Café Carlyle: "I'm a B Side Kind of Girl"
She'll be performing at the Carlyle till April 18. Watt White, her music director said that the Carlyle may mark the beginning of a tour; he will be joining Hall in San Francisco, bringing "Sin and Salvation" to Feinstein's at Hotel Nikko. So, for all you tweens and teens and people who live under rocks in general, just in case Kanye decides to do any more collaborating with old white dudes in the future, I've put together a little cheat sheet for you. Lili Haydn and I are "old school" and thus after our last chance meeting we exchanged our latest creations. INTERVIEW: Paul Rodgers... Free, Bad Company, The Firm, and His Latest, "The Royal Sessions"
If you've listened to Rock Radio in the USA for any length of time in the last 35 years, you have heard Paul Rodgers' voice over 200 times... easy! Paul is probably the most famous and well known rock vocalist that a whole lotta people don't know by name. Joe Bonamassa: "Well, it's always a luxury to have too many songs. At the end of the day, I wanted to have stuff that was deeper, really concentrating more on melodies." It used to be said that somewhere in the world, at any given moment, "Stairway to Heaven" is playing on the radio. 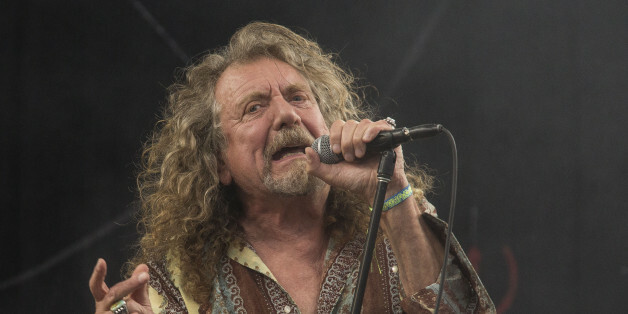 Robert Plant was in fine form closing out the stage at Saturday's New Orleans Jazz and Heritage Festival, with Phish jamming across the track for hours. From Led Zepplin classics to thoughtfully curated covers, he did not disappoint. Biographer Paul Rees says that Plant's story is far more interesting than simple tales of debauchery. His Robert Plant: A Life paints a fuller picture of the vocalist, who's life and career didn't end in 1980 when Zeppelin called it quits. One of my most diversified year-end lists yet -- rock, electronica, jamband, prog, pop, R&B. I didn't really think I'd even find 10 albums that could hold my attention start to finish. Here are my top 10s of favorite CDs and singles.